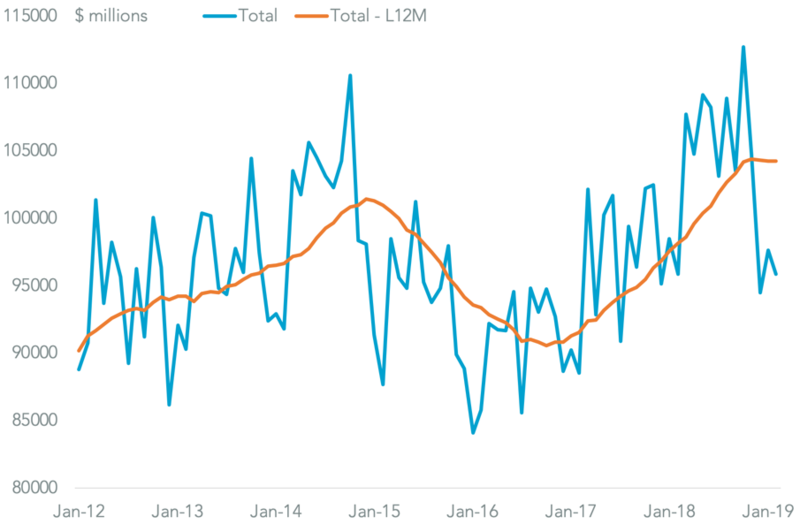 U.S. business sentiment had a small rebound in January according to the latest ISM survey. 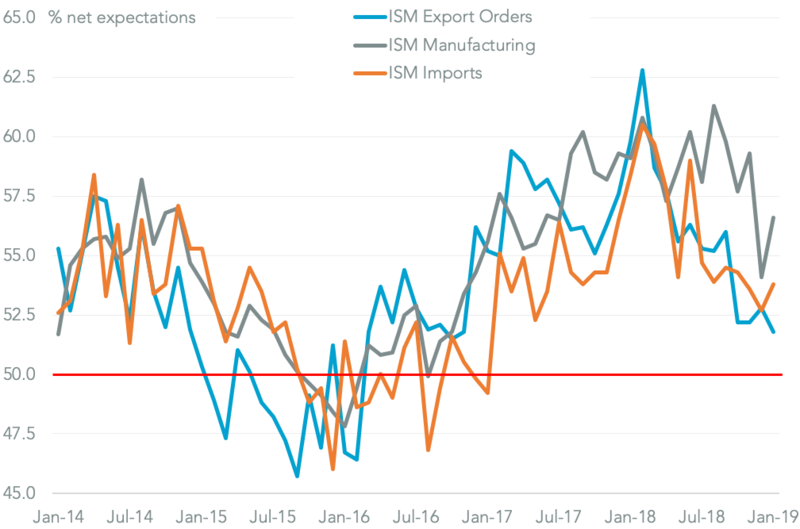 Total manufacturing sentiment rebounded from a two-year low, with import expectations increasing to a net 53.8% from 52.7% a month earlier. 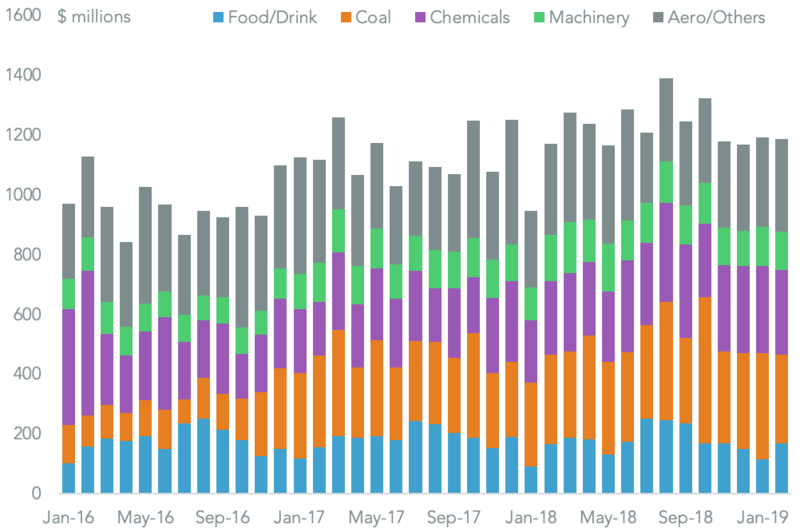 That may reflect a decline in trade tensions resulting from the tariff truce reached between President Donald Trump and President Xi Jinping at the start of December. More clarity will emerge during February, as outlined in Panjiva research of Jan. 31. 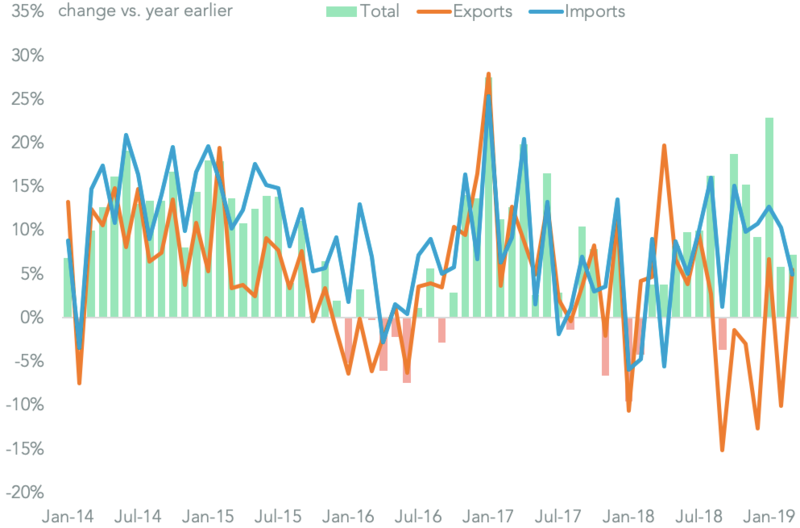 Of more concern is that the export sentiment indicator fell to 51.8% from 52.8% and reaching the lowest since Nov. 2016. 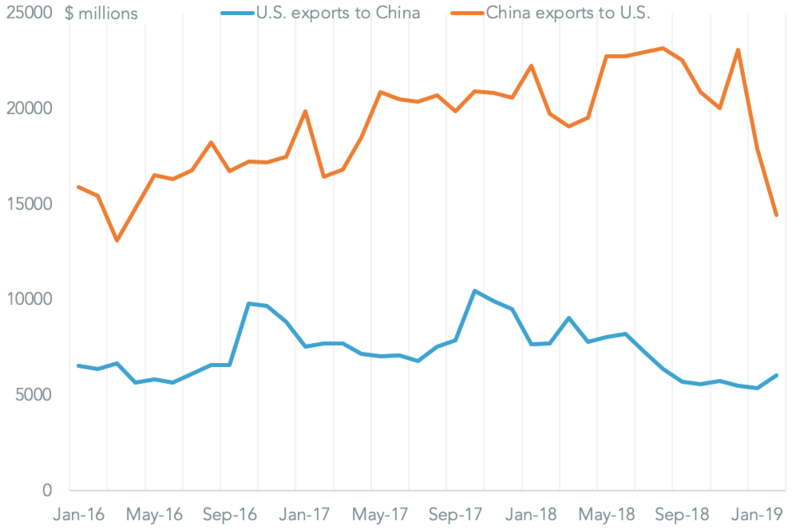 The decline in U.S. sentiment towards exports matches that seen in Germany and France – though those are likely due to Brexit – but comes as Chinese sentiment improved slightly. 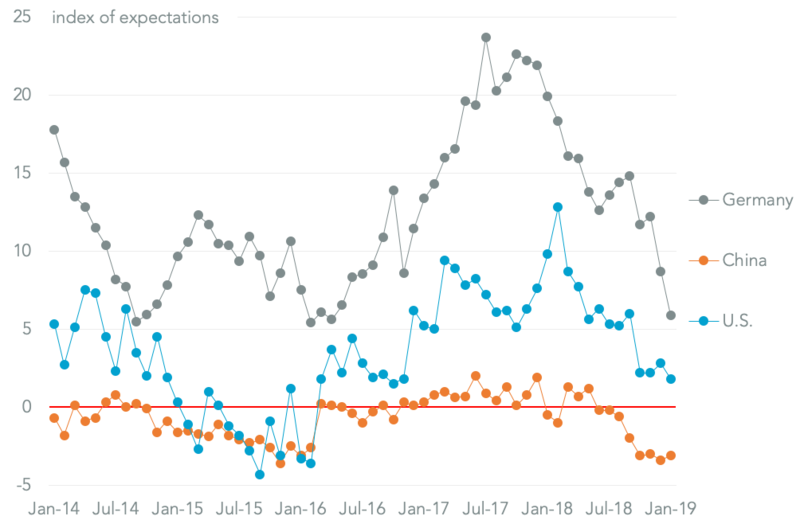 Chinese export sentiment remains in firmly negative territory though, suggesting a synchronized downturn in exports may not be far away.